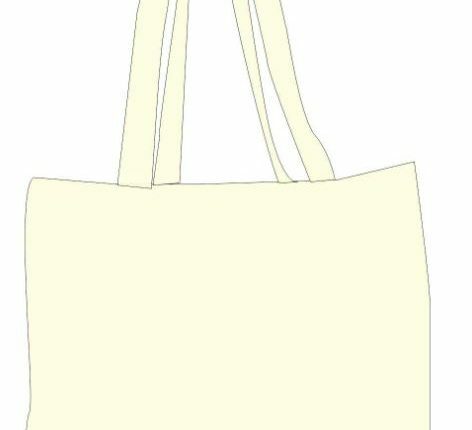 A printed version and an e-book are available in English and in Dutch. 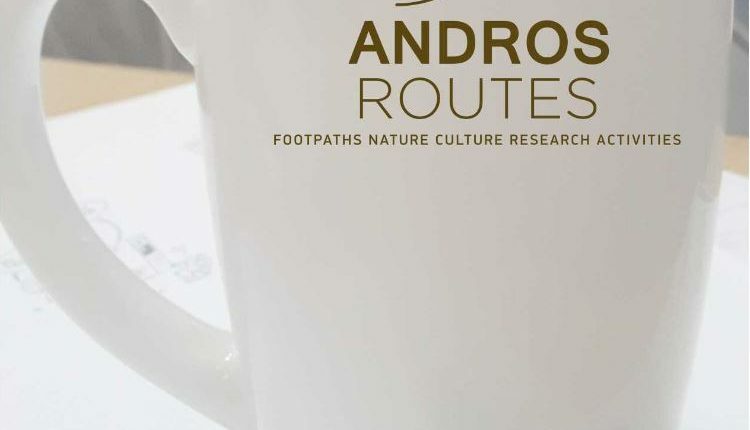 Earnings on our behalf from the sales of the books are exclusively spent on the maintenance of Andros’ footpaths. 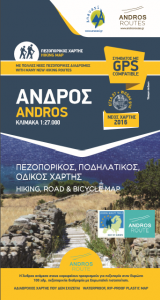 Earnings on our behalf from the sales of the products are exclusively spent on the maintenance of Andros’ footpaths. 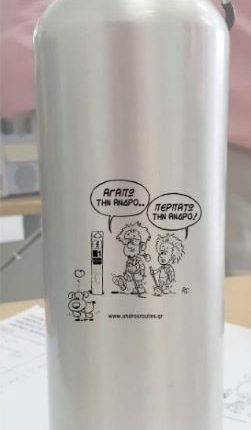 Aluminium Water Bottle with the Andros Routes logo and our Andros Routes “Love Walking..” cartoon in English or Greek. 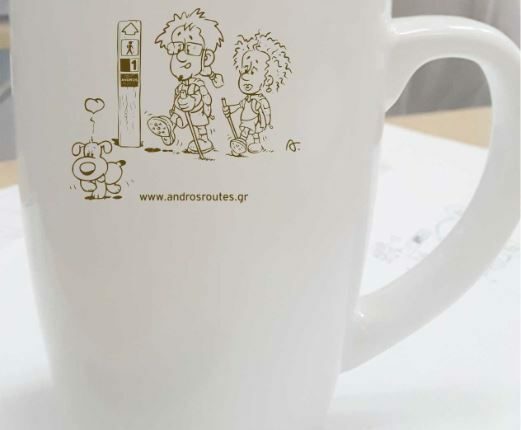 Ceramic Mug with the Andros Routes logo and our Andros Routes “Love Walking..” cartoon in English or Greek. 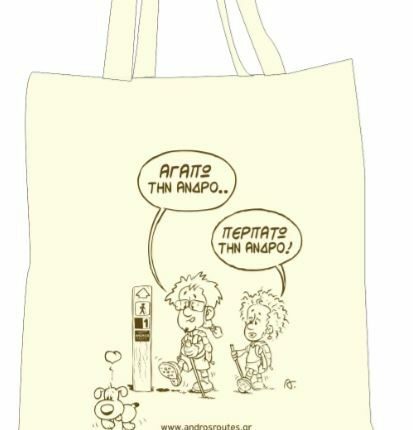 Ecru light canvas bag with the Andros Routes logo and our Andros Routes “Love Walking..” cartoon in English or Greek. Handmade soaps by Eleni ! 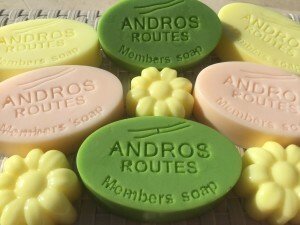 By buying these lovely soaps by Eleni you support path restoration and maintenance on Andros. 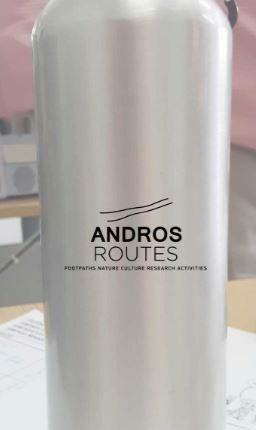 In cooperation with our project, Eleni is using part of the earnings from the sales of her soaps to restore paths of Andros !